This generator is created for PROCJAM 2018. The "❄️winter edition❄️" is here. Press Enter to generate a new mansion. S - Turn on/off shadows. This generator works on Android and iOS, but without a keyboard the only way to generate another mansion is to refresh the page. Made with Haxe + OpenFL + Away3D. Love it! Maybe we'll someday get a similar castle generator? I agree with others. This generator is amazing but if seeds were given/published elsewhere and if control over size was given, this would automatically become incredibly useful to DMs and Dnd players alike. If there's any way you could work on that that would be insane. + for getting a seed to always generate the same mansion, so this way you "save" it. Also, would be nice to have some sort of control in the number of rooms and floors. Amazing! Is it possible to save mansions (f. e. get/set seed, as in map generators)? Does source code publicized anywhere? Nope: to implement that seed-in-the-url thing I'd have to publish the generator somewhere else because I can't access the url on itch.io. Is it possible to export the floor plan to graphic? can i ask the proc-gen step process you use for this? you create much more realistic floor plans than I've been able to. I'm interested in making internal mansion plans for a proc-gen thief-like game but i've been struggling with believable floor plans. Any insight would be great! (as a Geographic Information Systems programmer by trade, your city gen and mansion gen stuff is really really cool. I choose a size of a mansion in "squares". 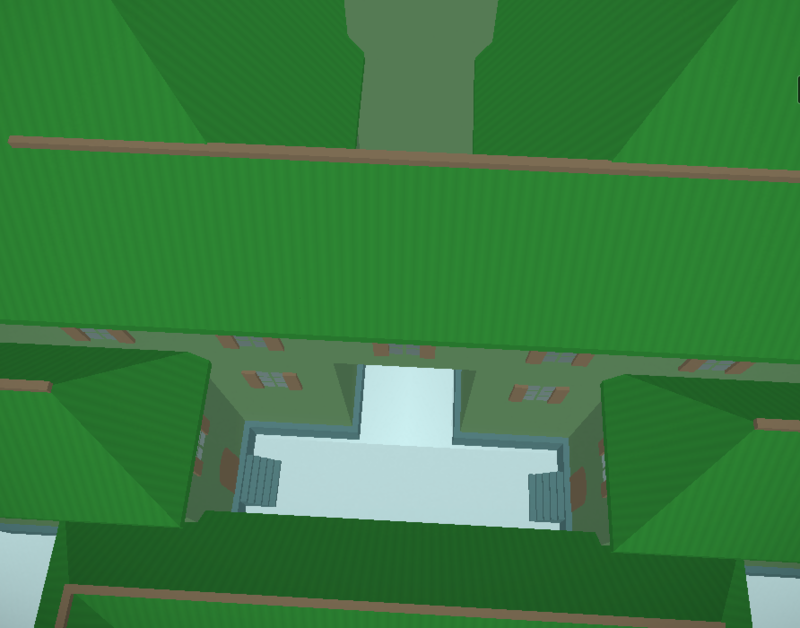 The smallest possible mansion is 4 squares big, the largest is about 200 I guess. When it's too big it stops looking like a a single building, more like a cluster of several ones. Then I generate a polyomino of that size. This becomes a ground plan of a mansion. The smallest mansions look like Tetris pieces when viewed from the top. Then I split this shape into rectangular "wings". For that I look for the largest rectangle within it, then the next and the next etc. Large wings have more floors, small wings have fewer of them (unless they can be seamlessly attached to large ones). One-square wings become towers. At the end I build a 3D model of this stuff. This is neat! The ground ambient occlusion and vignetting are nice touches. Makes it look like a photograph. I was following this on Twitter, but I didn't know the styles were, dare I say? window dressing and they all shared the same structure. That's really cool. Is there a button to generate a new house? I've been refreshing the page. This is truly wonderful work! What kind of license would you consider for these generated pieces being used as the basis for other works of art, or in game content? You can use maps stuff created by the generator as you like: copy, modify, include in your commercial rpg adventures etc. Attribution is appreciated, but not required. This is pretty cool. Think it's possible to make it so it also creates a floorplan that matches? That might be really hard to do, but super useful. Roleplaying much? :) As a GM, I would find that immensely useful too! But congrats on the tool in any case. It's totally possible and probably not even that hard depending on requirements. I think I speak for all of us GMs when I say that this has the potential to be a use-every-session tool with the simple addition of generated floor plans. Add that, and when combined with Kobold Fight Club, I'd say this will be a must-have in any digital GM toolkit.